Whenever I look at my TBR (To Be Read) pile or feel overwhelmed by the number of books out there I want to read, I have to remind myself that I can only read one page at a time. 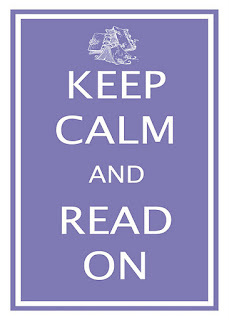 I saw this poster today, 'Keep Calm and Read On' and it made me smile. I thought it was a timely reminder for all book-lovers at the beginning of the year who may have set ambitious reading goals for themselves; if you keep calm, keep your head down and press on, you can get there. Those of you who enjoyed the extra reading time over Christmas, remember you don't have to stop when the holidays are over. I do the majority of my reading in bed before sleep, in waiting rooms before appointments or on public transport. Where do you do yours? Where can you find time for the activities you love doing? What can you do without? When people tell me "I don't have time to read," what they're really saying is that they prefer to spend their time doing something other than reading. If reading is important enough to someone, they'll put it at the top of their priority list, and find time for that activity. Of course, some of us wish we could read more, but that's only natural. As for me, I don't wish I could spend more time reading, I wish that in the time I spent reading, I could get through more books. At the moment I'm reading: Words You Thought You Knew - 1001 Commonly Misused and Misunderstood Words and Phrases by Jenna Glatzer while watching the Australian Tennis Open. It's the perfect book to read during the ads and quieter moments of each match. I'd love to hear your thoughts and ideas, so please feel free to leave a comment below and share your thoughts. 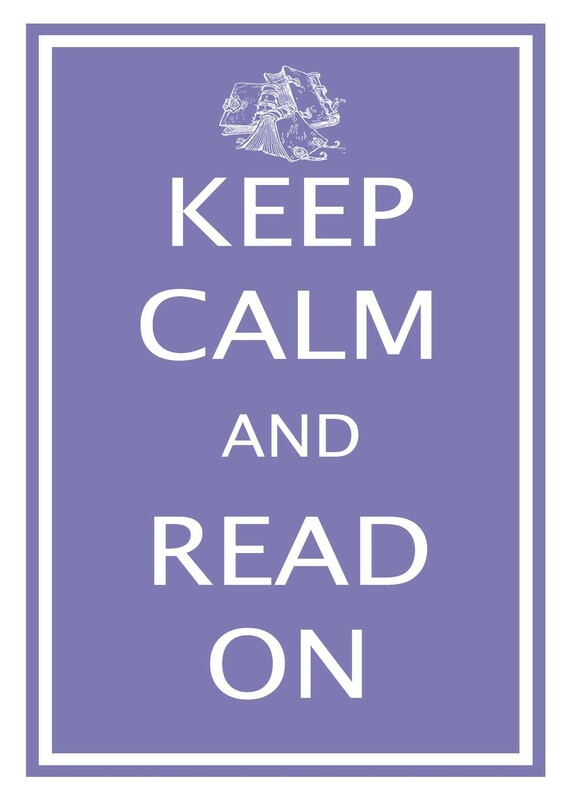 But, let's Keep Calm and Read On. I read an entire book today. I chose to read instead of reading medical journal articles for my assignment. Which may present a problem at some stage, but it was two hours well spent over the course of the day. Sounds good to me Anthony! Reading an entire book in two hours? Now that's impressive Sel! This is a helpful reminder. I read whenever I can and not enough...oh life does cause complications.